newbie- need help understanding food combining- can u explain this in simple terms? - 30 Bananas a Day! 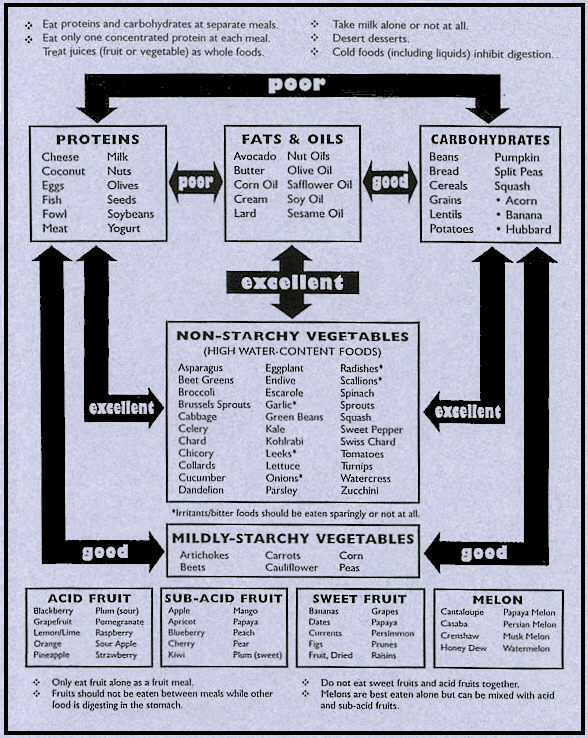 newbie- need help understanding food combining- can u explain this in simple terms? HI everyone..I'm a newbie. Raw just over 2 weeks- about 3 actually. Doing this fruit loving thang about a week now and LOVING it. I have dr. Grahams book- it came in the mail on Friday and I'm digging in and loving it. I'm wondering if anyone can sum on the combining rules in terms for a simpleton?? lol I keep trying to read rules and I start to get a little overwhelmed - thinking too hard maybe?? Thank you so much Jessica :) certainly does help. I'm learning more each day! Sweet Fruits Include: Bananas, Dates, Figs, Persimmons,etc. 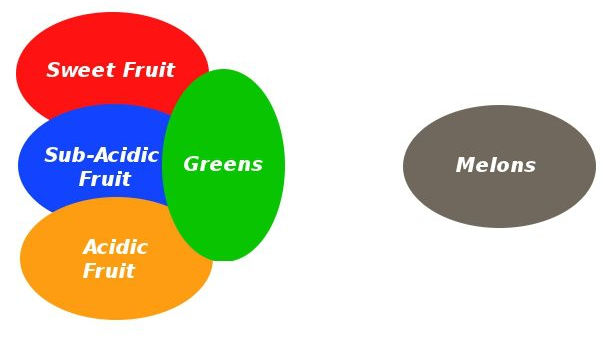 Sub-Acidic Fruits Include: Cherries, Blueberries, Apples, Pears, Papayas, Mangoes, Plums, Peaches,etc. Acidic Fruits Include: Oranges, Tomatoes, Grapefruit, Pineapple, Strawberries,etc. Greens Include: Baby Spinach, Celery, Romaine Lettuce, Butter Leaf Lettuce, Dandelion Greens,etc. Overt Fats Include: Avocado, Jack Fruit, Durian,etc. Melons Include: Honeydew Melons, Cantaloupe, Watermelon, Muskmelon,etc. Obviously we don't recommend everything listed on this chart, but it should still provide some help. I see food combining more as guidelines than hard and fast rules. What digests just fine for one person, might not be so good for another. But when just starting out, it's best to keep it simple, and over time you can begin to experiment. this is great!! thanks you! Love all the info. This is very helpful for a newbie! That's the sort of chart I was looking for, Jon! I keep a copy of them in my purse and lunch bag. I refer them very often; especially when preparing my meals.